Russian senators beef up law on the crime of fraud | Russian Legal Information Agency (RAPSI). MOSCOW, November 28 - RAPSI. 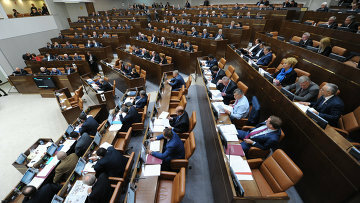 The Federation Council has approved a law, providing further detail into the Criminal Code article on "fraud," and banning the possibility to initiate criminal cases under the article without first receiving a complaint from the defendant. The law amends the Criminal Code, stipulating that a criminal case on fraud can be initiated only if the victim has filed a complaint stating that he has been defrauded. The only exclusions are crimes that inflicted damage on state or municipal enterprises, state corporations, state companies, commercial organizations with direct state or municipality participation in the charter capital, or if state municipal assets were the subjects of the fraud. The law will introduce six independent types of fraud, pertaining to such categories as loan transactions, receipt of payments, use of credit and debit cards, insurance and computer technology, and fraud in business activities. The law toughens the liability for large-scale fraud, increasing fines from 10,000 rubles ($323) to 80,000 rubles ($2,585). Fraud with regards to assets worth more than 1.5 million rubles ($48,480) is considered large-scale. Fraud with regards to assets worth over 6 million rubles ($193,920) is considered major. Criminal liability is introduced for falsifying investigation results aimed to prosecute an individual who, in fact, had not committed any offence, or caused damage to a person's honor, dignity or business reputation. A crime of this sort will be punishable either by a fine of up to 300,000 rubles ($9,695) or by imprisonment for a term of up to four years.